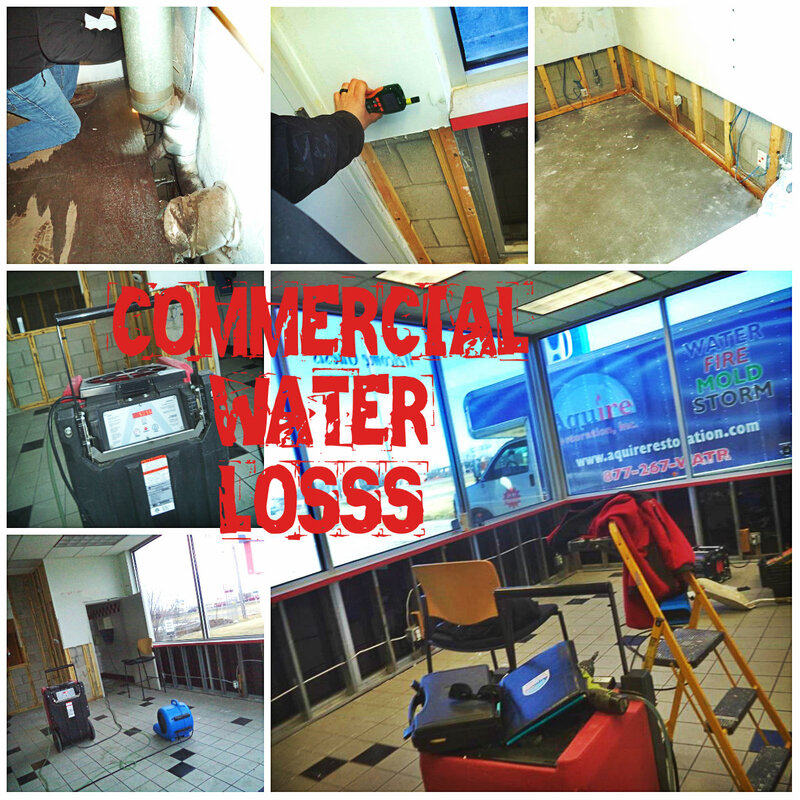 WATER DAMAGE REPAIR | Aquire Restoration, Inc.
A commercial property suffered a WATER loss just a few weeks prior. The property was for sale, so we had to come in quickly do the job right and be able to get it done before it went to closing. Frozen pipes burst inside the vacant building, and sat for an unknown period of time. The water had wicked up the drywall at least two feet and had to be removed. We started the mitigation immediately and are in process of reconstruction. Here are a few pictures of the job before we finished (finished pics coming soon). CHECK OUT OUR FACEBOOK PAGE FOR THE FINAL PRODUCT AND MANY MORE BEFORE AND AFTER PHOTOS! CHECK OUT OUR WEBSITE FOR ALL THE SERVICES WE CAN OFFER YOU! After a very small fire in a bathroom unit of a massive apartment complex, a rather large WATER LOSS occurred in Oshkosh, WI. The small FIRE started in the second story bathroom, after the smoke and ignition the sprinkler system went off sending water cascading down to the one below. We were able to dry out the carpeting in the hallways of the apartment but we removed drywall, insulation and flooring. Then installed drywall, flooring and painted throughout the units. After the water loss we had to come in and demo. The completed project looks updated and new! To see more of the massive commercial projects we have done check out our FACEBOOK PAGE! To keep up to date on Aquire Restoration and what we can offer, please check out our WEBSITE!